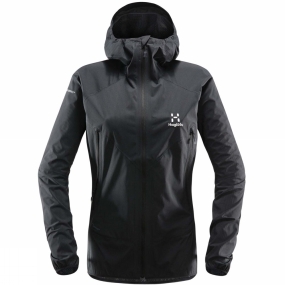 The Womens L.I.M Proof Multi Jacket from Haglof is a waterproof shell jacket with great comfort levels. Perfect for any adventure. Easy to stow in your gear, extremely light, and performs admirably at protecting you from the elements. Reflective points keep you visible when the sun goes down.